When you are looking to lose weight, look no further than the powerful smoothie. These super simple weight loss smoothies pack protein and flavor, so you will not feel deprived. Let's drink. 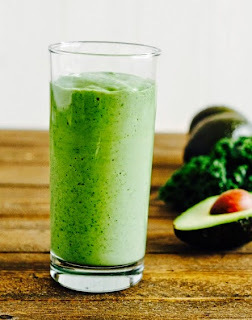 Half of an avocado per serving makes this smoothie totally worthy as a meal replacement. To make it even more filling (and tasty) Cassie Johnston, whose new cookbook Chia, quinoa, kale, oh My! It's out now adds peanut butter. Mix all ingredients in a mixer on high speed until very smooth. This is delicious and very filling. I used organic cashew milk and Nutzo organic nut butter.